Pictured is a shelf of P.O. boxes inside of the Castolon General store. Mail to the frontier was a rare and exciting occurrence. 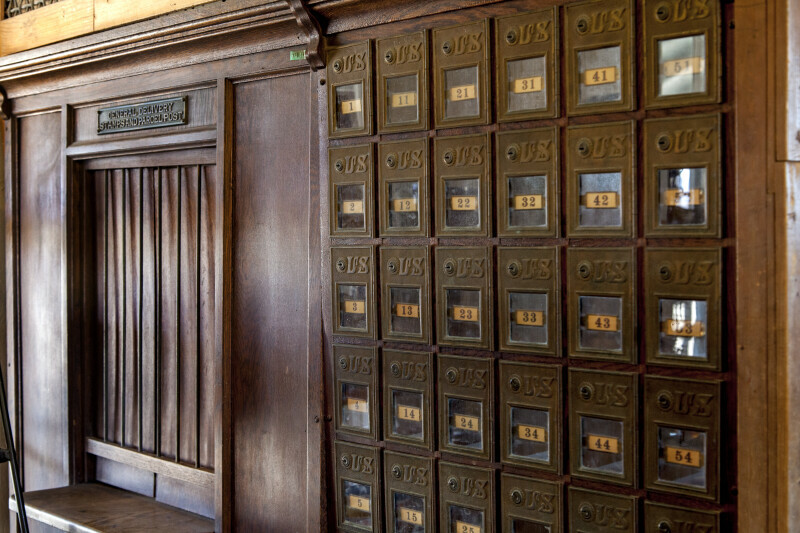 The boxes are marked US (United States); a plaque which reads "General Delivery Stamps and Parcel Post" hangs to the left of the boxes.